Meet Bedrock Ideas v2.3 Release! We are pleased to present our new Bedrock Ideas v2.3 release! We listened to our customers carefully and took into account all your comments. With this release, you will receive some new features and a lot of improvements! So, what do we have for you? We’ve put a lot of work into improving filters. Now all filter sections are collapsible. There is a checkbox in Community Builder to make filter sections collapsed/expanded by default. 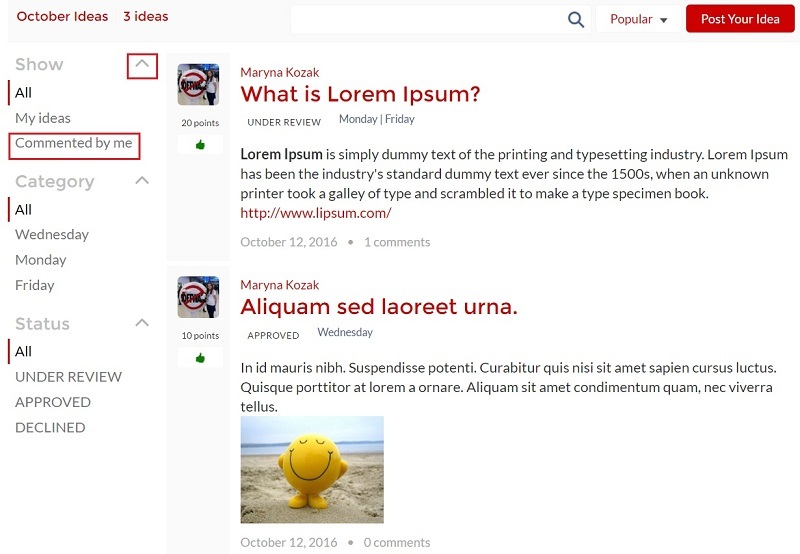 In addition, we’ve added a ‘Commented by me’ filter to the ‘Show’ section, so now you can quickly find ideas you’ve commented on. 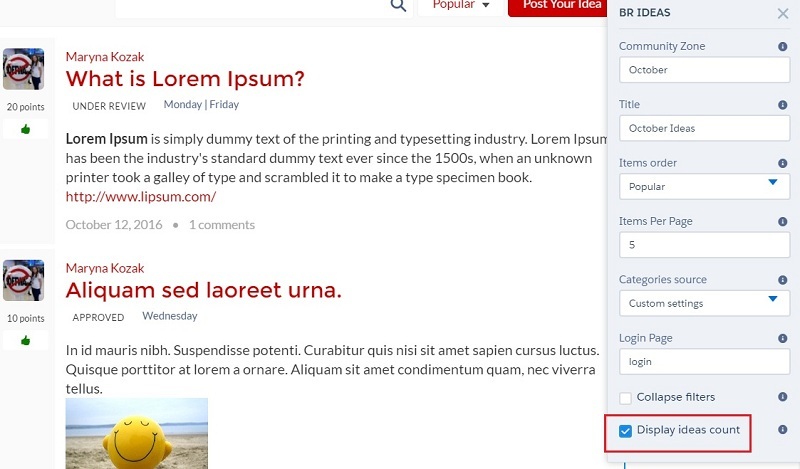 We’ve added another checkbox that allows you to display/hide the number of ideas. You can find it in Community Builder. We’ve made it possible to display a number of votes for every idea. 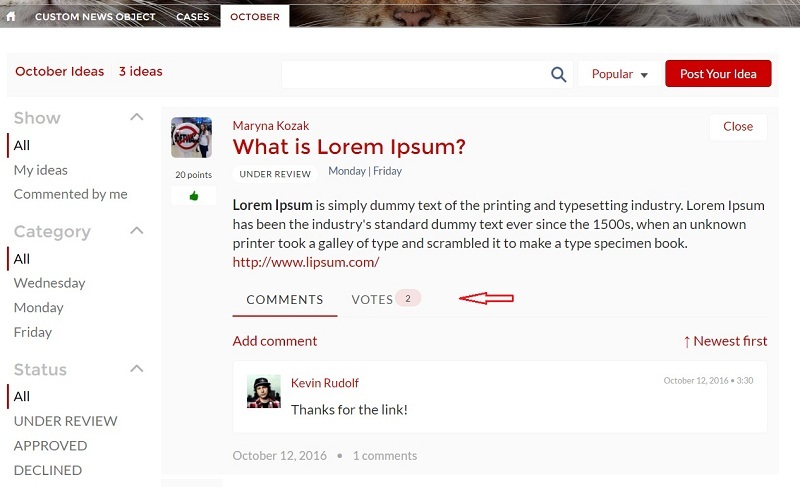 You can see this function in the detailed idea view on the Votes tab. Multi-language support (by adding translations for custom labels) is now included. Read about this here. This means our component supports as many languages as Salesforce does! How amazing is that? We hope you’ll enjoy our component as much as we do! With your help, we just keep getting it better!